This is very powerful and very interesting, it can be the news of the month in science world, scientist are planing to combine a lot of ten beams into a single pulse which will be with a power of 200 petawatts to create the most powerful laser beam ever, this is considered to be several hundred times more powerful than the entirety of the power generated by the human race until this time, that will happen in Europe's Extreme Light Infrastructure project (ELI) the space-time-ripping fourth laser project will be launched on 2017. 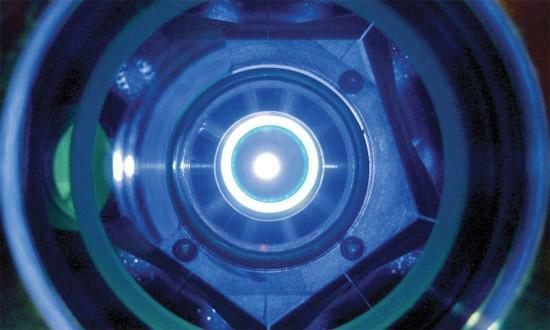 The expected result of this test is that this extreme powerful laser would be capable of tearing apart the vacuum of space-time itself, which would reveal the matter and antimatter underneath. About this laze it will not take longer than what the light will travel between the edges of a human hair, will only use this mammoth amount of power for just 1.5 x10^-14 second, "this is the same time that "it takes for light to travel from one side of a human hair to the other, if you shave your hair down by 90%", report scientists.